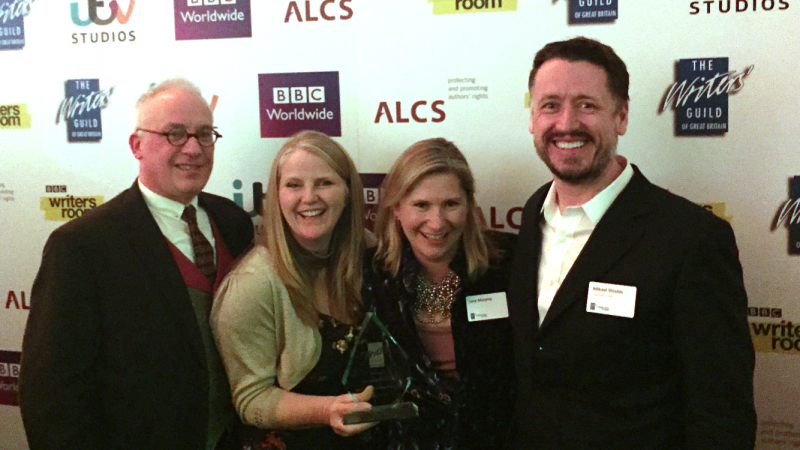 We’re delighted that Bing was awarded The Writers’ Guild Award for Best Writing in a Children’s TV Episode! The winning episode was Bye Bye, written by Denise Cassar & the Bing Writing Team: Lucy Murphy, Ted Dewan and Mikael Shields. We’re incredibly proud to receive this and of the team for the creativity and insight they’ve put into writing these shows.